Ideal as a shade for both domestic patios and gardens and commercial shop fronts, our extensive range of retractable canopies and awnings are suitable for any purpose. 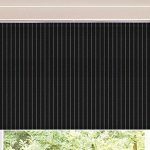 From our Immingham-based showroom, the largest of its kind in the area, Humberside Blinds are able to cater for the whole of Grimsby, Cleethorpes and the wider Lincolnshire and Humberside region, and our helpful and friendly staff are on hand to discuss your awning and canopy needs. We stock both cassetted (fully retractable with protective casing) and non-cassetted canopy types, with free measuring and fitting available direct to your home or business. Perfect as shade from the sun and protection from the rain, our made-to-measure canopies and awnings are manufactured directly by us, cutting out any extra expense, and offering you the best value way to enjoy your garden or protect your shop front.